These hamburgers are so good that I would drive across town for one. But it is not just the hamburger that appeals. It is the the experience of watching the team at Andrews cooking them. They make it into an art form. Order your burger from the blackboard menu then hang around and watch. There are a few stools but even if these are taken stay there, don’t wander off. Watch the crew as they work behind the counter –which is in front of the cooking area. 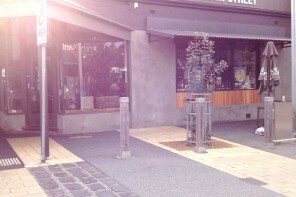 This is a small, narrow shop and space is at a premium. There is at least four and sometimes five short order cooks working in a space that is no wider than the hallway in a single fronted Victorian terrace house. They work together like dancers who have had their entire moves choreographed. They don’t back into each other or step on each other’s toes. 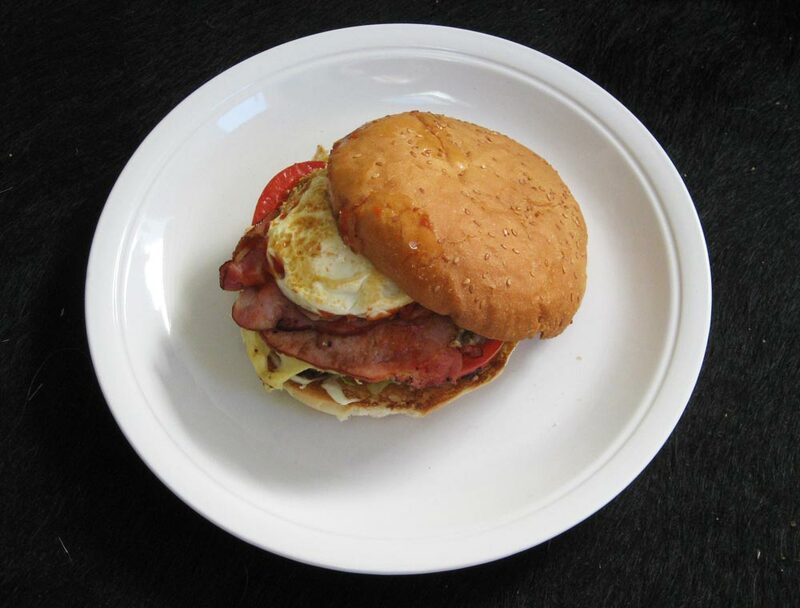 They side-step , take orders, place eggs, tomatoes, bacon and onions on the grill, toast the buns, fill the buns and put the finished product in their greaseproof-lined bags. There is never a false move. It is fascinating to watch. And it is a puzzle to know which cook does what. Just when you think you have it sussed one of the cooks does a different job and you find you got it all wrong. Then suddenly your name is called and without you realizing it your hamburger has been prepared bagged and ready to go. 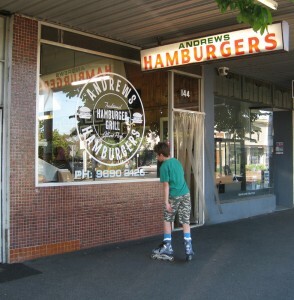 It is a beautiful performance so it is not a surprise to find the hamburgers sublime. Making them is an art and eating them shows how perfection can’t be beaten. The menu is on the wall and it is extensive but it is of no interest to me. I always order ‘The lot’ for $9.50. – Ground beef, egg, bacon, cheese tomato, mayonnaise and a delicious bun spread with tomato sauce. They have a web site Here. Tram no 1 get off at the corner of Bridport and Montague Streets. Next articleW-class Yellow and Green trams icons of Melbourne on route 78/79 are to be replaced so grab a ride while you can. My kid and I went there. It wasnt as good as we’d expected. Barney Allens and Misty’s rates higher with us. Yes you can flip a beef patty but with the amount of customers that feel like a burger on a sunday you guys being closed is a crime. After a hard days work the only thing on my mind was having a mouth watering burger however after ringing up and getting the answering machine my day was ruined. can you please rearrange your staffing logistics so your fine establishment can be open to satisfy not only my needs but the needs of the other fine members of public. This is an informative post review. I appreciate your efforts and all the best. I am so pleased to get this post article and nice information. I was looking forward to getting such a post which is very helpful to us. A big thank for posting this article on this. 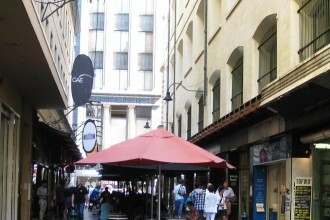 Degraves Street – A Melbourne Laneway.